open rank position(s) in digital sociology! NeRDS (the New Research on Digital Societies) group was established in 2013 within the Center for Research on Organizations and Workplaces at Kozminski University in Warsaw (Poland). Our aim is to study digital societies by the means of virtual ethnography, anthropology of the Internet, digital sociology, but also network analysis and other quantitative methods. Our projects so far include studies of open collaboration communities (such as Wikipedia), Couchsurfing, the Second Life, anti-vaccine discourse online, as well as virtual communities of museums. NeRDS are a proud member of the international Network of Centers. 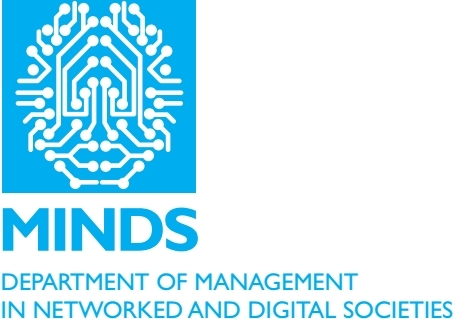 In 2017 our department changed its name, and now NeRDS have MINDS (Management in Networked and Digital Societies) department. *Dariusz Jemielniak, Gwinyai Masukume, Maciej Wilamowski (2019) The Most Influential Medical Journals According to Wikipedia: Quantitative Analysis, Journal of Medical Internet Research 21:1. e11429. *Dariusz Jemielniak, Agata Stasik, Aleksandra Przegalinska (2018) Anecdotal evidence: understanding organizational reality through organizational humorous tales, HUMOR: International Journal of Humor Research 31:3. 539-561. *Aleksandra Przegalinska, Leon Ciechanowski, Mikolaj Magnuski, Peter Gloor (2018) In the Shades of the Uncanny Valley: An Experimental Study of Human-Chatbot Interaction, Future Generation Computer Systems DOI:10.1016/j.future.2018.01.055. *Helena Chmielewska-Szlajfer (2018) Opinion dailies versus Facebook fan pages. The case of Poland’s surprising 2015 presidential elections, Media, Culture and Society, 40(6), 938-950, DOI: 10.1177/0163443718756065. *Agata Stasik (2017) Global controversies in local settings: anti-fracking activism in the era of Web 2.0, Journal of Risk Research, DOI: 10.1080/13669877.2017.1313759. *Dariusz Jemielniak, Maciej Wilamowski (2017) Cultural Diversity of Quality of Information on Wikipedias, Journal of the Association for Information Science and Technology 68: 10. 2460–2470. *Gaggiotti Hugo, Kostera Monika, Krzyworzeka Paweł, (2016) More than a method? Organisational ethnography as a way of imagining the social, Culture and Organization, s.1-16. *Dariusz Jemielniak (2016) Wikimedia Movement Governance: The Limits of A-Hierarchical Organization, Journal of Organizational Change Management 29: 3. 361-378. *Dariusz Jemielniak, Eduard Aibar (2016) Bridging the Gap Between Wikipedia and Academia, Journal of the Association for Information Science and Technology 67: 7. 1773-1776. *Dariusz Jemielniak (2016) Breaking the Glass Ceiling on Wikipedia, Feminist Review 113: 1. 103-108. *Tadeusz Chełkowski, Peter Gloor, Dariusz Jemielniak (2016) Inequalities in Open Source Software Development: Analysis of Contributor’s Commits in Apache Software Foundation Projects, PLoS ONE 11: 4. e0152976. *Dariusz Jemielniak (2016) Cross-cultural management and digital societies, Journal of Organizational Change Management 29: 1. 108-115. *David Duenas, Paloma Pontón, Angel Belzunegui, Inma Pastor (2016) Discriminatory Expressions, the Young and Social Networks: The Effect of Gender, Comunicar: Media Education Research Journal, 46. 67-76. *Helena Chmielewska-Szlajfer (2018) Reshaping Poland’s Community after Communism: Ordinary Celebrations, New York: Palgrave. *Helena Chmielewska-Szlajfer (ed) (2018) Marxism and Sociology: A Selection of Writings by Kazimierz Kelles-Krauz, Leiden, Netherlands: Brill. *Agata Stasik, Ewa Wilczyńska (2018) How do we study crowdfunding? An overview of methods and introduction to new research agenda, Journal of Management and Business Administration. Central Europe 26 (2018) 49–78. *Helena Chmielewska-Szlajfer (2017) “Authentic experience” and manufactured entertainment: Holy Land Experience religious theme park, Polish Sociological Review 4 (200): 545-558. *Helena Chmielewska-Szlajfer (2017) Gender equality in Central-Eastern Europe: Media between Communist heritage and Westernisation, Visegrad Insight 2 (11): 45-47. *Rodak Olga, Karolina Mikołajewska-Zając (2017) ‘Paradigm Clash’ in the Digital Labor Literature: Reconciling Critical Theory and Interpretive Approach in Empirical Research, #SMSociety17: Proceedings of the 8th International Conference on Social Media & Society. Cultural norms and social organization in open collaboration communities. Since there are apparent differences between the open collaboration projects and other forms of organization, and also since there are differences within the open collaboration communities, between the expert driven (e.g. FLOSS) and the non-expert ones (Wikipedia), there is an emerging research field, which so far has not been sufficiently delved into by researchers. The objective of the project, therefore, is to create a qualitative, interpretive analysis of organizational practices in non-expert open collaboration communities, on the example of three different Wikipedia projects (from different countries), and Twitter and Pinterest. (Preludium, grant agreement no. 2013/09/N/HS4/03790, budget 21k EUR). The aim of the project is to provide a description and interpretation of hospitality exchange networks such as CouchSurfing, focusing especially on the tension between market logic of a service unergoing commercialization and gift economy, on which the culture of the network seems to be based, and its consequences for the functioning and public reception. The focus is on the mutual influences between the micro and macro level of the organization – in the issue, how official organizational culture influences the interactions between individuals and the way they negotiate their meetings and how the interactions on micro-level may affect this very organizational culture. Since “offline” meetings of the users may pose a threat for its participants (to life, health, threat of property theft or simply feeling of discomfort), second important issue will be the formalization and bureaucratization of the organization, especially in the context of providing institutional framework for the meetings and increasing trust among users. Even though both museum management and research on virtual communities date back quite long, at the intersection of the two disciplines emerges poorly explored research field, especially if one considers the context of communities of practice gathered around open virtual collaboration linked to particular museums, such as multilingual Virtual Shtetl, user-created “museum without barriers, a consequent extension of the real Museum” of The History of Polish Jews. Since during three last decades museums have changed from being predominantly custodial institutions to becoming increasingly focused on audience attraction, now in museum management new emphasis is placed on museum-audience interactions and relationships rather than on museum collection. Thus the emergence of Web 2.0 and, shortly after, of so called Museums 2.0 deepened the confusion about who the audience has become: the public? participants co-creators of the museum content equal to employed professionals? The objective of the project, therefore, is to create a qualitative, interpretive analysis of interactions between museums and non-expert open collaboration online communities of practice gathered around them. What organizational practices can be observed among the virtual community and museum professionals? How hierarchy, power and authority are being negotiated? When is the online community described as the audience, when – as the users or customers, and when – as equal contributors to the museum? How conflict trajectories are resolved in between hierarchical institution and a-hierarchical online community? The research project is aimed at investigating processes of expert knowledge production, legitimization, and distribution in the age of the Internet. It relies on a case study of online information dissemination among different social agents, focusing on GMOs and Zika virus. The study is embedded in the socio-cultural context of evolving role of science and scholarly authorities today, and allows for a closer understanding of implementation of new technologies processes affecting social changes of larger scale. This interdisciplinary project is based on virtual ethnography and big data analysis, combining cultural anthropology, STS, and media studies, with organizational theory. This research project is devoted to social interaction of decision support systems (DSS and employees / members of the organizations that implement them (including collaborative support systems, including group support systems and virtual teams, as well as optimization based DSS and active decision suppor). Expert systems in general, and decision support systems in particular, are a perfect example of implementation of the postulates of artificial intelligence by simulating human behavior based on formal models. Expert system is defined as a set of computer programs that use the database and models of knowledge and inference rules in order to solve problems. The basic functions of expert systems include data interpretation, anticipating the consequences of decisions, diagnosis, monitoring, control the behavior of the system and the storage and use of the acquired knowledge. Research is carried out in the context of the ongoing process of introducing artificial intelligence in the area of social interaction with people, with particular emphasis on the interactions in the professional sphere, and in business. This research project is devoted to tracking the roots of transhumanism as a both methaphysical program and politica/organizational strategy. . Transhumanism’s goal is to fundamentally transform the human condition by developing and making widely available technologies to greatly enhance human intellectual, physical, and psychological capacities. In this research I would like to link the transhumanist movement and human professional and social abilities. My attempt will be to track to what extent the transhumanist promise is translated into the current design of technologies that support people’s professional life.Transhumanism was born in the U.S. and majority of the most prominent figures of transhumanism are based there. Actually, contemporary meaning of the term transhumanism was foreshadowed by one of the first professors of futurology, FM-2030 who taught “new concepts of the Human” at The New School in the 1960s, when he began to identify people who adopt technologies, lifestyles and worldviews transitional to “posthumanity” as “transhuman”. FM-2030, whose name was F.M. Esfandiary, became notable as a transhumanist with the book Are You a Transhuman? : Monitoring and Stimulating Your Personal Rate of Growth in a Rapidly Changing World, published in 1989. Starting from FM 2030 I would like to reconstruct the birth and development of transhumanism until now. United States, United Kingdom, and Poland, three very different democratic states have been witnessing a significant right-wing shift in the recent years. In all these three countries, predictions made in official polls proved wrong in face of elections—presidential and parliamentary elections in Poland in 2015, as well as presidential elections in the US in 2016—and the British Brexit referendum in 2016. However, major online tabloids, Gawker/Gizmodo Media in the US, Mail Online in the UK, Pudelek in Poland, which mix celebrity and entertainment news with political coverage, showed a much more sensitive ear towards the voters, publishing articles that proved to be better predictors of the elections’ outcomes. Thus, the analysis focuses on opinions voiced by journalists and editors from these online tabloids, juxtaposed with opinions made by online commenters beneath articles covering political topics in Gawker/Gizmodo Media, Mail Online, and Pudelek. This research aims to reveal some of the underlying beliefs concerning fundamental social values, coming from an often-ignored source: what a good society, state (and journalism) should be. 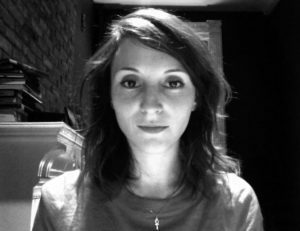 Małgorzata Adamczyk is a researcher at Kozminski University (planned thesis defense: 2016). 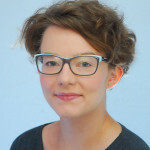 Her research interests evolve around netnography, links between social media and social memory, and collaboration between virtual communities and the “offline world” (with a research project from National Science Center ongoing). She is currently a member of the audit committee at Collegium Invisibile. You can contact her by email: m.adamczyk@ci.edu.pl. Agnieszka Doczekalska is assistant professor of theory and philosophy of law at Kozminski University. Her research interests include the relation between copyright law and ethical rules developed by virtual communities of fans in cyberspace. You can contact her by email: adoczekalska@alk.edu.pl. 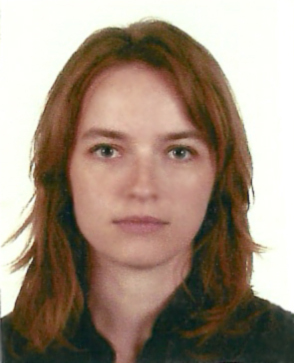 Magdalena H. Góralska is a research assistant at Kozminski University with background in cultural anthropology. Her research interests include the use of the Internet as a source of information on health and food safety related topics, expert knowledge, and on-line authority production (with a research projects from National Science Center and Ministry of Science ongoing, including prestigious Diamond Grant). 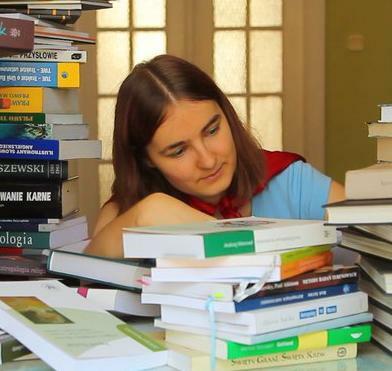 You can contact her at mgoralska@kozminski.edu.pl. Dariusz Jemielniak is (full) professor of management at Kozminski University. His research interests include open collaboration movement (with a research project from National Science Center ongoing), and he has recently published a book about Wikipedia. 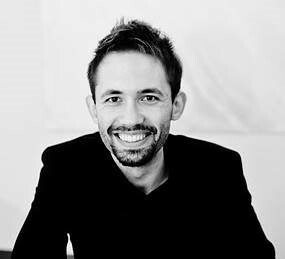 He has founded several Internet startups, such as ling.pl (the largest online dictionary in Poland) or, most recently Insta.Ling (an innovative vocabulary acquisition system). In 2015 he joined the Wikimedia Foundation Board of Trustees. You can contact him at darekj@alk.edu.pl. 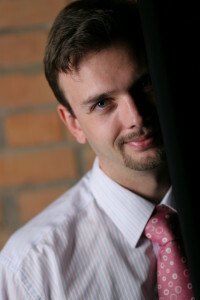 Paweł Krzyworzeka is assistant professor at Kozminski University. 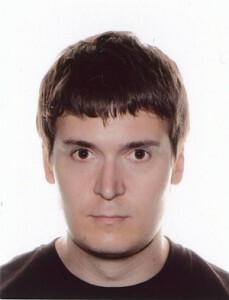 His research interests include studying the social networks in Eastern countries, such as vkontakte and odnoklassniki. You can contact him at pkrzyworzeka@alk.edu.pl. Grzegorz Mazurek is associate professor of marketing and specializes in the new technologies impact on management and marketing. He has authored three books. Before pursuing a scientific career, Grzegorz Mazurek held the position of Manager at K2 Internet S.A. – one of the most well-known interactive agencies in Poland. He had been working in the field of internet marketing for more than 12 years, managing projects for such brands as: Nokia, Nikon, Mars Corp., Michelin, IKEA and Senate of the Republic of Poland. You can contact .him at gmazurek@alk.edu.pl. Agata Dembek is an assistant professor at Kozminski University. She has background in sociology. Her current research interests include sustainable entrepreneurship, science and technology studies, and the role of non-human actors in network organizations. You can contact her at adembek@kozminski.edu.pl. 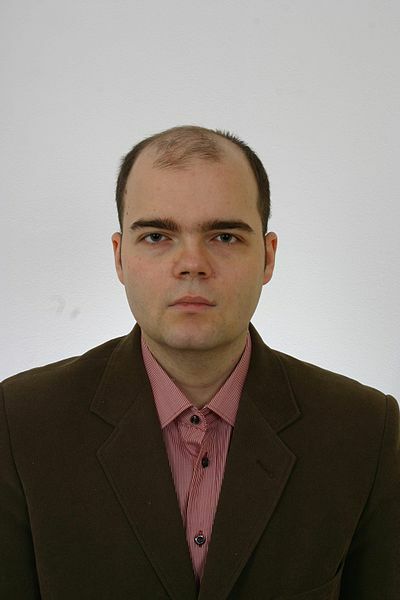 Marcin Zarod is a research assistant at Kozminski University. He specializes in Science and Technology Studies and sociology of science. Currently research involves hackers and social aspects of computer security and decision-making process in robotics. From 2013 until 2017, he worked as science communicator at Copernicus Science Center. Principal researcher in grants Preludium, Etiuda (on hackers) and Dialog (on robotics). Contact: mzarod@kozminski.edu.pl. 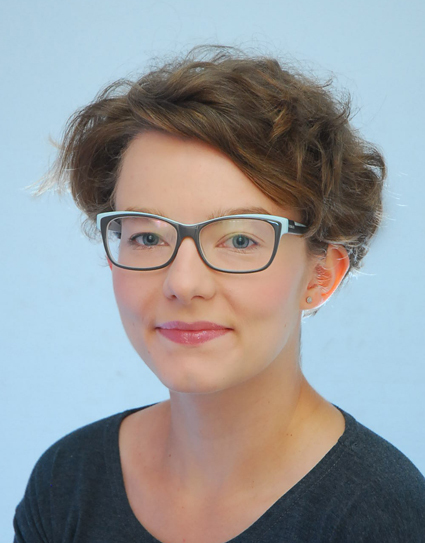 Karolina Mikołajewska-Zając is research and teaching assistant Kozminski University with a background in sociology. Her research interests related to digital societies revolve around emergent forms of labour in sharing economy. She currently works on her PhD project on the tension between gift and market economies in hospitality exchange networks such as CouchSurfing (with a grant funded by the National Science Center). In 2016-2017, she is Visiting Student Researcher at University of California, Berkeley. You can contact her at kmikolajewska@kozminski.edu.pl. Aleksandra Przegalińska PhD in the Department of Philosophy of Culture (recently submitted PhD thesis:Phenomenology of virtual beings), graduate of Philosophy and Journalism and Communication Studies at the University of Wroclaw, as well as interdisciplinary Studies in the Humanities at the Liberales Artes Academy. As a William J. Fulbright Scholar I majored in Sociology at The New School for Social Research in New York, where I have participated in research on identity in virtual reality, with particular emphasis on Second Life. I am primarily interested in consequences of introducing artificial beings and systems to people’s social and professional sphere. Always happy to talk with bots and avatars. 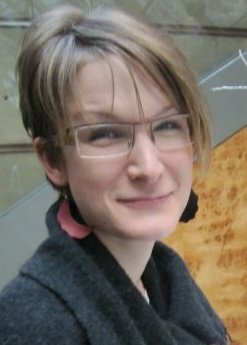 Olga Rodak is research assistant and PhD candidate in management at Kozminski University with background in socio-cultural anthropology. Her research interests include the use of ICTs by farmers and rural entrepreneurs. You can contact her at orodak@kozminski.edu.pl. Agata Stasik is assistant professor in management at Koźmiński University with background in sociology and science and technology studies. She did research on dynamics of shale gas development, impact of the Internet on technological risk governance, risk communication, and crowdfunding of technological innovation. Her current research interests include eco-innovations, new forms of governance in energy innovations, transformative social innovation, and practices and impacts of future(s) anticipation. She has been visiting researcher at University of Vienna and University of Gothenburg. You can contact her at astasik@alk.edu.pl. 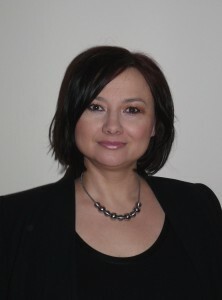 Jolanta Tkaczyk is assistant professor of marketing at Kozminski University. Her research interests include consumer behaviour with particular emphasis on word of mouth and social media (with a research project from National Science Center ongoing). You can contact her by email jtkaczyk@kozminski.edu.pl. Helena Chmielewska-Szlajfer is an Assistant Professor at Kozminski University, 2017-18 Visiting Fellow at LSE Department of Media and Communications, and 2016 Visiting Scholar at NYU Institute for Public Knowledge. She received her PhD in sociology at New School for Social Research, New York with the Albert Salomon Dissertation Award. Author of Reshaping Poland’s community after Communism: Ordinary celebrations (Palgrave 2018). She is currently conducting research on the politicization of online tabloids in Poland, the United Kingdom, and the United States. She tweets at @hchsz. You can contact her at h.chmielewska-szlajfer@kozminski.edu.pl. 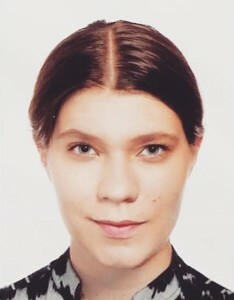 Monika Sońta is a research and teaching assistant at Kozminski University. Her business and academic interests include Internal Communication, Human-centric Design and Employee Experience. Monika is a certified facilitator of LEGO® SERIOUS PLAY® method, certified SCRUM Master as well as FORTH Innovation practitioner. 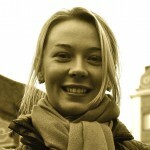 She is an entrepreneur, the Founder of COMM.on communication boutique (komunikujemy.com). She can be contacted at msonta@kozminski.edu.pl. Artur Modliński is a research and teaching assistant at Kozminsky University, Junior Professor in CITAD Research Center (Lisbon) and at the Lusiada University, Professor in Urban Sensorial Laboratory (Portugal), an expert in the Foundation of Romualdo del Bianco (Italy) and European Foundation of Human Development. He is specializing in business communication and development, technology adaptation to management systems as well as social media management. He has worked as business trainer and consultant for top international companies, governments and non-governmental organization. You can contact him via e-mail: amodlinski@alk.edu.pl. Krzysztof Wojewodzic is a visiting professor at Kozminski University. He is also a serial entrepreneur. COO/CEO of successful companies like Langmedia, Funmedia, and ESCOLA S.A. of multi million valuation. His expertise is in strategic management with a deep focus on disruptive technologies. He is an author of the first Polish official online course book accredited by the Ministry of Education. He has a Ph.D. in strategic management and specializes in business models for IT/NewTech sector. He is an expert at the National Center for Research and Development (NCBR) and an international speaker on mobile technologies, business models and strategic management in IT. He also advises boards of international corporations, e.g. Xella International. 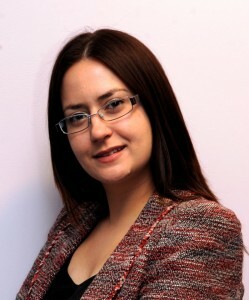 Malgorzata Ciesielska is a senior lecturer in organisational behaviour and HRM at Teesside University. She holds a PhD in Organisation and Management Studies from Copenhagen Business School and a first-class MSc in Business Management and Marketing degree from the Warsaw University, Poland. Her research interests range from digital economy and innovation to gender and HRM in high tech industry. She specialises in qualitative research methods. Her recent publications include analysis of trust in open source software projects and challenges for open source businesses. 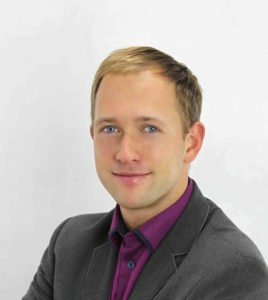 Benjamin Mako Hill is an assistant professor in communications at the University of Washington. He is also a Debian hacker, a core-developer and founding member of Ubuntu, an open collaboration activist and an intellectual property researcher. He authored two best-selling technical books on “Debian GNU/Linux 3.1 Bible” and “The Official Ubuntu Book”. He currently serves as a member of the Free Software Foundation board of directors and on the Advisory Board for Wikimedia Foundation. he has a Master’s degree from the MIT Media Lab and a PhD from the MIT Sloan School of Management. Brian Keegan is a computational social scientist and post-doctoral research fellow at Northeastern University. He received his PhD in 2012 from Northwestern University and his dissertation examined the history, structure, and dynamics of Wikipedia’s coverage of breaking news events. He draws upon theories and methods from network science, computer-supported cooperative work, computer-mediated communication, and organizational studies to understand high-tempo knowledge work, online political communication, and network forms of organization and innovation. His research has been published in the American Behavioral Scientist, CSCW, ICWSM, WWW, and IEEE Social Computing. He grew up in the suburbs outside Las Vegas, Nevada and earned bachelors degrees in Mechanical Engineering and Science, Technology, & Society from MIT in 2006. Piotr Konieczny is an Assistant Professor at the Department of Informational Sociology, Hanyang University. He has received his PhD degree from the University of Pittsburgh. He is interested in the sociology of the Internet and social movements, in particular in topics such as wikis – their impact on individuals and organizations; decision making processes and organizational structure of Wikipedia; patterns of behavior among Wikipedia contributors; relation between wikis and social movements; free culture movement; and teaching with new media. 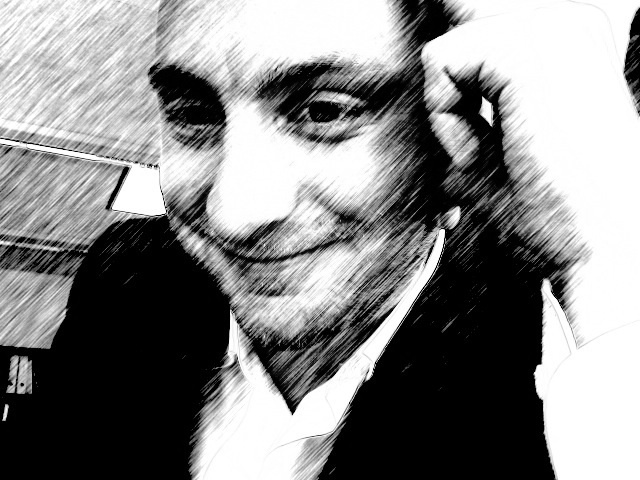 Mathieu O’Neil is Associate Professor of Communication at the University of Canberra. He initially studied idiosyncratic personal media networks such as underground print publications or “zines” and online personal journals or “weblogs”. 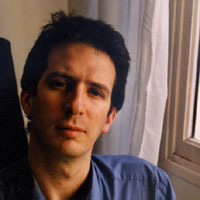 He joined the Australian National University in 2005, where he contributed to the founding of the Virtual Observatory for the Study of Online Networks (VOSON). Between 2009 and 2013 Mathieu lectured in sociology of communications at the Université Paris Sorbonne (Paris 4). 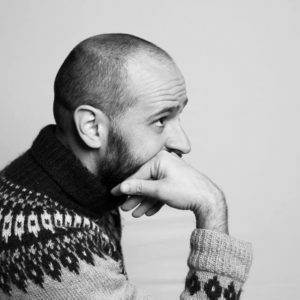 In 2010 he founded and became one of the editors of the online Journal of Peer Production and was elected to the Board and Bureau of Les Amis du Monde diplomatique. His book Cyberchiefs: Autonomy and Authority in Online Tribes was published by Pluto in 2009. 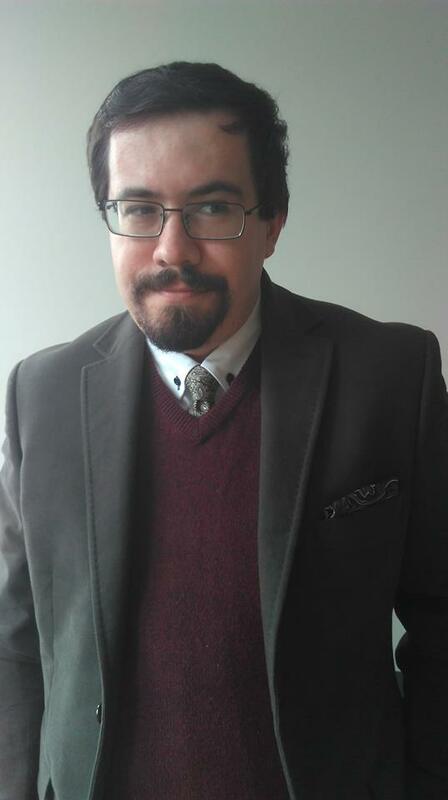 His research interests include relations of power, social change and ICT; online collective identity and issue diffusion; the emergence of new organizational forms; and quantitative methods to map and analyze online organizational and social movement fields. 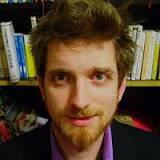 Joseph Reagle is an Assistant Professor of Communication Studies at Northeastern University, as well as a faculty associate at the Berkman Center for Internet and Society at Harvard, and author of Good Faith Collaboration: The Culture of Wikipedia (The MIT Press, 2010). His next book’s working title is Comment: Likers, Haters, and Manipulators in the Age of the Web. He received his Ph.D., and was an adjunct faculty member, at NYU’s Department of Media, Culture, and Communication. As a Research Engineer at MIT’s Lab for Computer Science and Working Group Chair and Author within IETF and W3C, he contributed to several specifications on digital security and privacy. He also helped develop and maintain W3C’s privacy and intellectual rights policies (i.e., copyright/trademark licenses and patent analysis). Dr. Reagle has degrees in Computer Science (UMBC), Technology Policy (MIT), and Media, Culture, and Communication (NYU). He served as a fellow at the Berkman Center for Internet & Society, has been consulted on new-media related projects, and has been profiled, interviewed, and quoted in national media including Technology Review, The Economist, The New York Times and American and New Zealand Public Radio. His current interests include infocide, geek feminism, and comment culture. NeRDS research group is run collaboratively, by a team of researchers interested in digital culture, Internet ethnography, and in general online culture studies. We aim to coordinate our work in an a-hierarchical and informal way. We do only stuff that we find interesting and tend to avoid everything else, just because we believe that academic work should not be boring and can be fun.